We would like to invite you to our Study Czech Friday event. More informal this time. 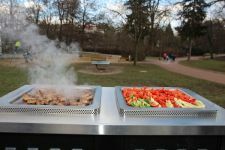 We are going to barbecue, chat, play games and practise phrases which you can use at a summer BBQ party.